Release the fun and excitement of a Forever Captured party, wedding, or special event photo booth hire in BC’s Lower Mainland and forever capture the priceless memories, magical moments, the laughs the and comical antics of your guests in front of a photobooth. While your event may only last for a day, a photo booth preserves wonderful memories for both you and your guests that are sure to last for many years. We ensure photo booth design and layout are customized for all events that we do. You can add a special message, your event name, company logo, or special graphics. Check out the different photo layouts you can choose from when you hire one of our booths. Our photo layouts are among the best offered in North America. 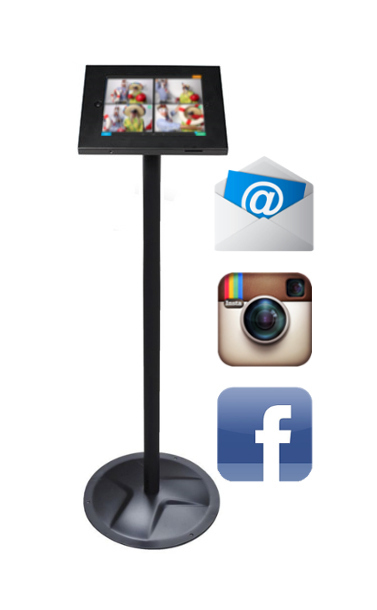 Friendly, professional, on-site photo booth attendant throughout the entire duration of your event. Delivery of the booth to your function, wedding, or party. The complete setup and removal of the photobooth. You don’t need to do anything except smile for your picture and have a good time. An online gallery of all pictures taken. All photos are uploaded to the gallery afterwards and can be either private or public – it’s your choice. A fun keepsake for you: a USB flash drive with every one of your guests’ pictures (if you’d like one). We hire our photo booth by the hour and always include all the great features listed below. Hire start at $549 for 2 hours. Please contact us to see if we are available for your event or for hire that are longer than 2 hours. So if you are looking for a photo booth hire for your event, party, or wedding, Forever Captured PhotoBooth can help you create an amazing experience that your guests will love and remember for years to come. Contact us today, and we can begin talking about what you have in mind for your special occasion. Contact us at info@forevercaptured.ca or at .